The students in LeBow’s BRIDGE learning community do spring break a little differently. Each year, they choose a destination city and build their travel itinerary around corporate visits, community service and, of course, fun. For 2018, the BRIDGE spring breakers headed to Dallas, Texas to visit headquarters for Toyota North America, JP Morgan, JC Penney and EY Cyber Security. They toured facilities, met with executives and networked with Drexel alumni in the area. Their schedules were certainly packed, but they were able to make time for fun with visits to a Dallas Mavericks game and Klyde Warren Park, a 5.2-acre public park in downtown Dallas. 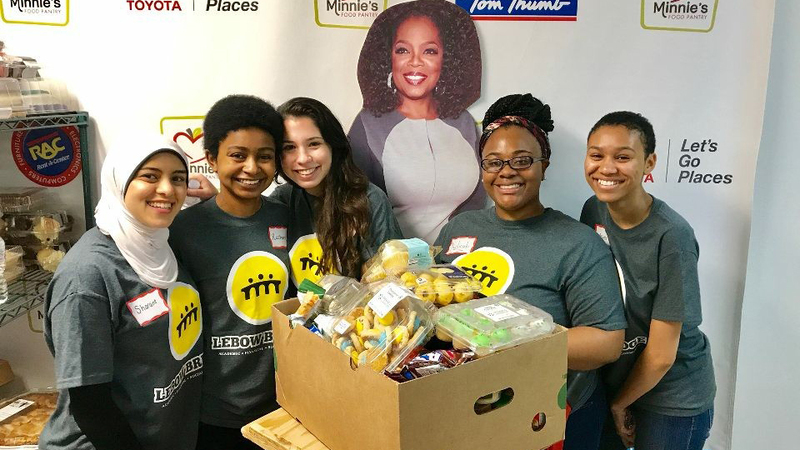 To fulfill the service-oriented aspect of the BRIDGE mission, the students had the opportunity to volunteer by packaging food items at Minnie’s Food Pantry, a local charity. LeBow BRIDGE Learning Community students visited Netflix, Adobe, Sephora and more during their spring break trip to San Francisco, California. Students who participate in LeBow’s learning communities form strong bonds with fellow students during freshman year.